We have taken important steps to monitor and streamline our activities to reduce our carbon footprint. This extends beyond our immediate operations and across our supply chain from our sourcing strategy, to the actual supply and logistics, and the environmental strategies of our supply partners, through to the way we interface with our clients. At Image our vehicle fleet represents the most significant proportion of our carbon footprint. This was a major factor in our investment in Euro 5 low emission vans, and the control systems we have in place to monitor and review our activities to minimise our carbon emissions. We are constantly seeking opportunities to improve our performance and reduce our carbon footprint from staff training and initiatives, through to collaborative projects with our customers and suppliers. 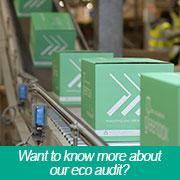 As a business our view is that our carbon footprint is our own responsibility. As such we maintain a corporate goal to achieve a zero carbon business. We therefore do not employ carbon offsetting to mitigate this goal, but in areas beyond our immediate control, such as our “carbon-neutral” paper scheme.